Editor: Mary J. Berg and Janice K. Fuller, eds. There has been a demonstrated need to address the role of women in pharmacy, because of the increasing numbers of women in the profession. Regional and national meetings have discussed this topic during past years. Until now, there had never been an international pharmacy conference to address and discuss this subject. 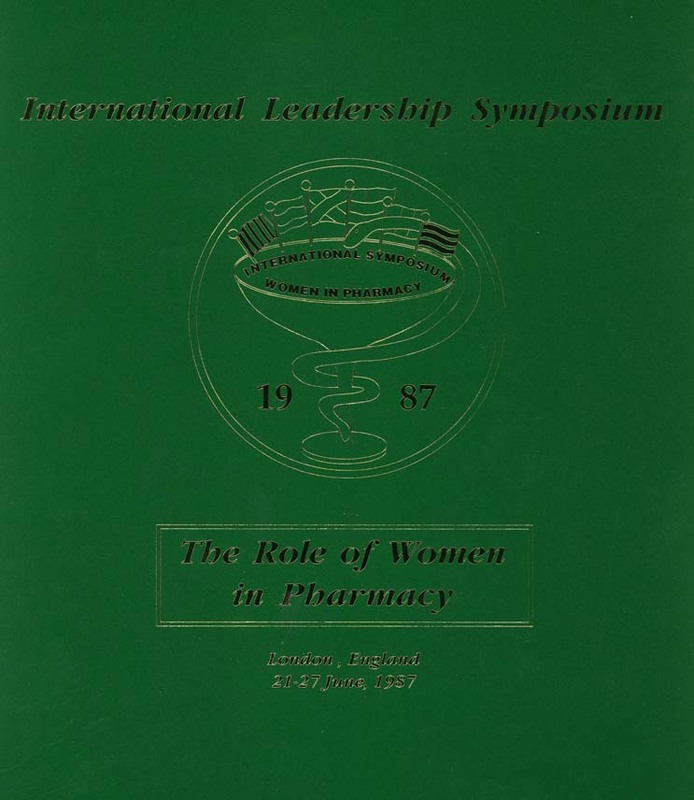 The idea for a conference titled “International Leadership Symposium: The Role of Women in Pharmacy” originated with Gloria Sabatini. In 1984, she formed an initial Steering Committee composed of individuals from the United Sates of America: Marianne Rollings, Chair; Mary Grear, Gloria Sabatini, Dorothy Wade, and Lawrence Weaver. With the assistance of Mark Knowles, the Steering Committee expanded to include several individuals from Europe: George Teeling Smith, Chair, from the U.K.; Elizabeth Meikle, U.K.; Denise Rambaud, France, and Berit Rosen, Sweden. The selection of the Co-Chairs for Arrangements, Finance, Program and Proceedings, and Public Relations occurred in 1985. This symposium was held in London, England, on June 21-27, 1987. Futurists forecast that women will comprise the majority of practicing pharmacists by the year 2010. To address the implications of this dramatic change, the leadership symposium fostered an exchange of current information with a focus on future needs. Emphasis was placed on social, ethical, economic and professional trends as well as on the impact of emerging technologies. The participants-who included international pharmacy leaders as well as those aspiring to leadership within the profession-worked together in developing strategies to create a dynamic pharmacy environment for the future. These proceedings of the symposium include presentations by internationally recognized speakers on topics ranging from the economics of health care delivery to employment in pharmacy and biomedical and situational ethics. Discussion groups including participants from 20 countries addressed the issues in open sessions. Abstracts provided practical background on pharmacy education and employment in pharmacy in countries around the world. These proceedings should be regarded as a reference for the future of the profession of pharmacy within the health care system. The consensus of the symposium participants was that further international conferences of this type should be encouraged.